Yesterday I promised you’d enjoy what I added to Luciole and here the manicure is! 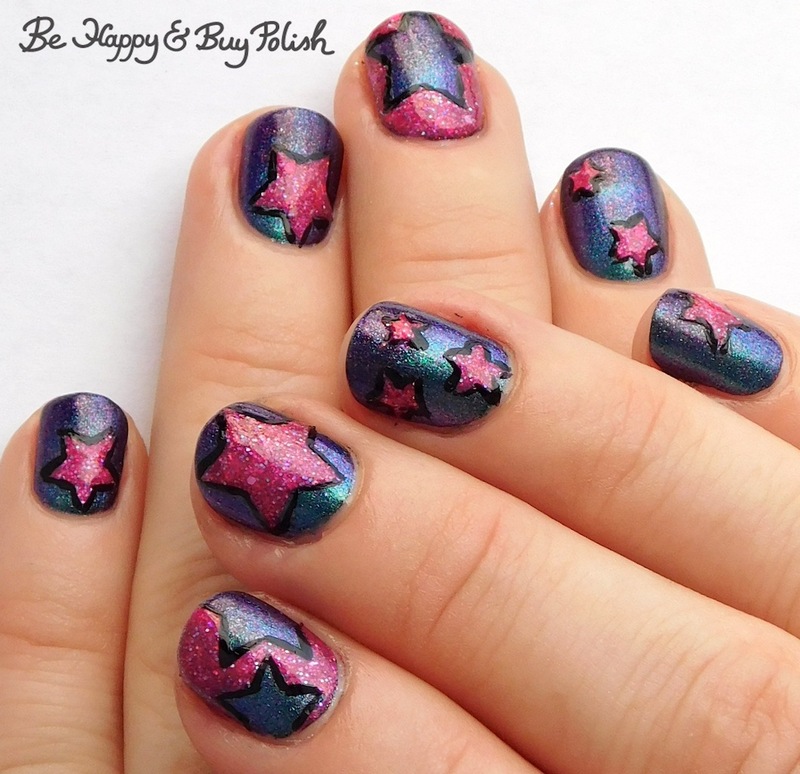 Even though some of my stars (thank goodness for nail vinyls!) turned out wonky, it still is pretty cool looking.